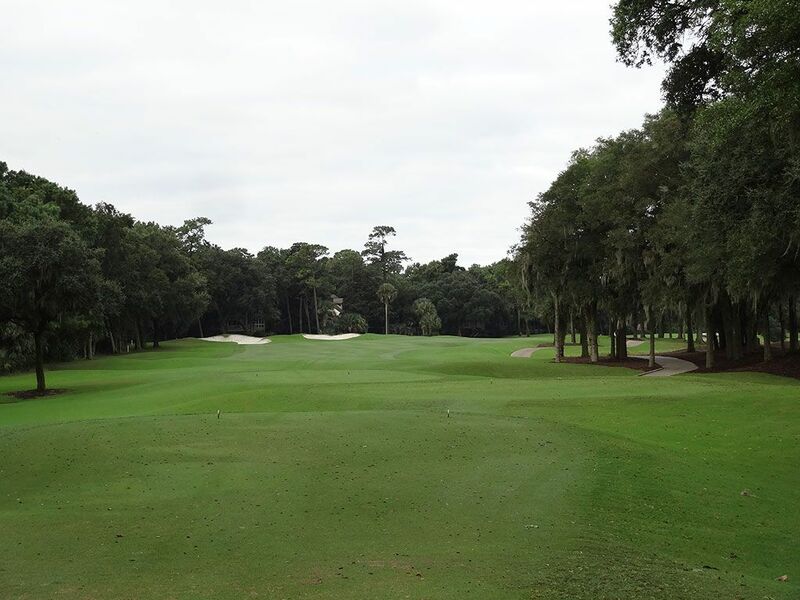 Course Website: Official Website - Visit Kiawah Island Resort (Cougar Point)'s official website by clicking on the link provided. 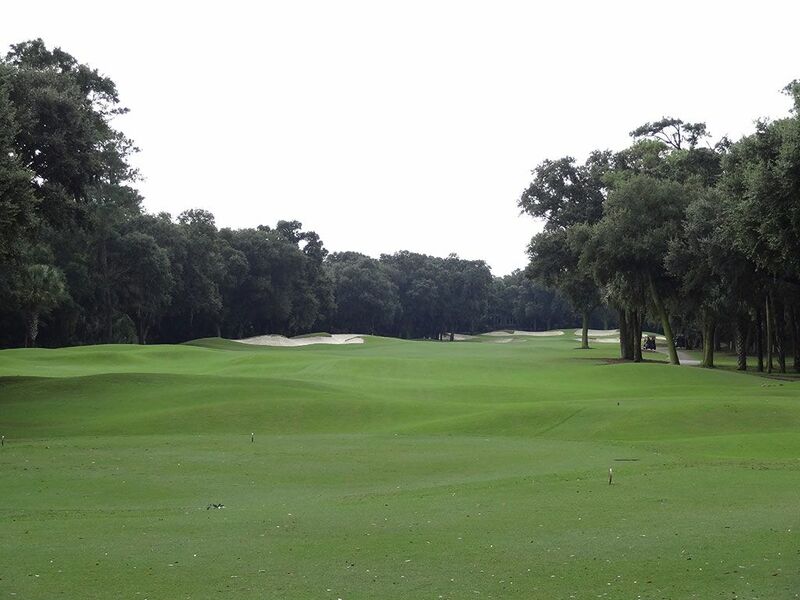 Accolades: Ranked 13th in South Carolina on Golf Course Gurus' Best in State list. What to Expect: Even the best players in golf sometimes need a mulligan. In 1976 Gary Player designed Marsh Point on Kiawah Island but was never satisfied with the result after the fairways were made too tight and greens overly penal. These features were employed in an effort to compensate for the short length the course had after some of the original land set aside for the course was excluded from use. Well, 20 years later Player took a mulligan on his original effort and completely redesigned the course with additional length, more generous fairways, and greens that spark enjoyment rather than frustration. The course maintained the same general routing since existing housing restricted much leniency that way, but hazards were moved, holes altered, and the entire course reborn after it's difficult beginning. The result of Player's mulligan is that he piped one right down the middle. 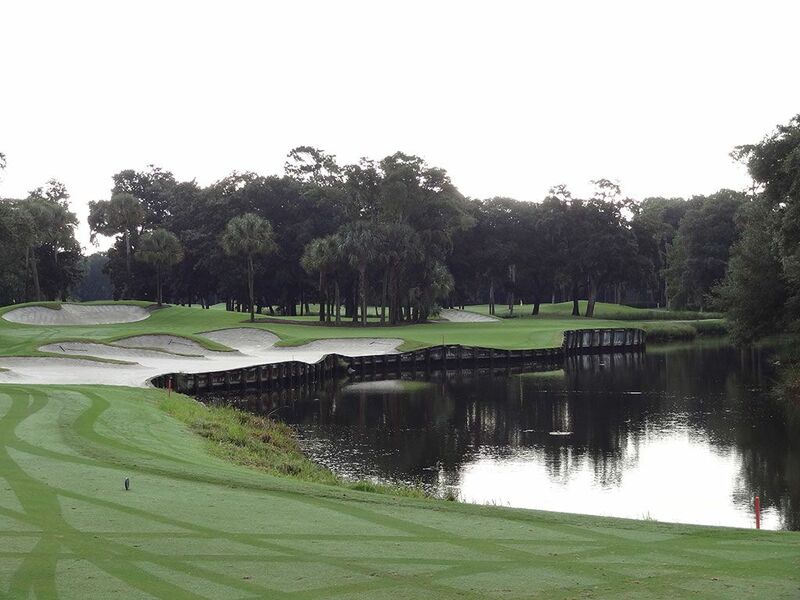 The course is now one of the most popular courses at Kiawah Island Resort and is often referred to as the most fun. The holes are lined by a variety of different species of trees but the majestic oaks are the ones that command the most attention. Bermuda grass is featured throughout the course and plays a heavy factor in the way the ball acts on the greens. 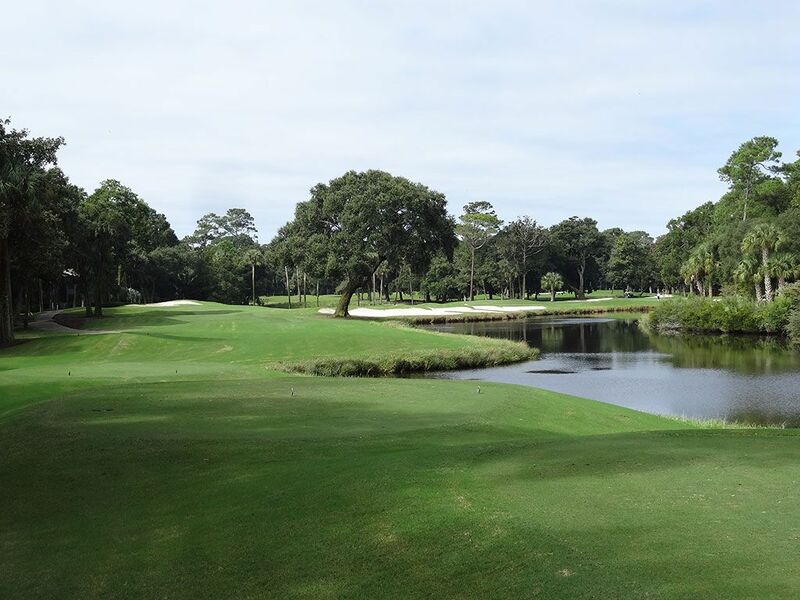 There are some scenic holes along Kiawah River as well as some reachable risk/reward par 5s that give players an opportunity to score. 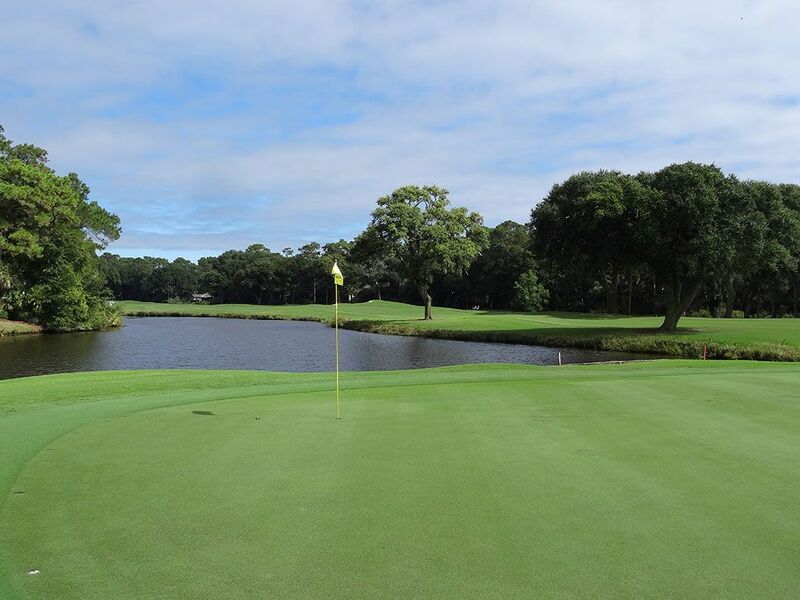 Water is a big factor at Cougar Point as it comes into play on several holes, particularly on the back nine where water protects a handful of the greens. Lastly, carts are allowed on the course though the tame terrain would certainly make Cougar Point a pleasant walk. 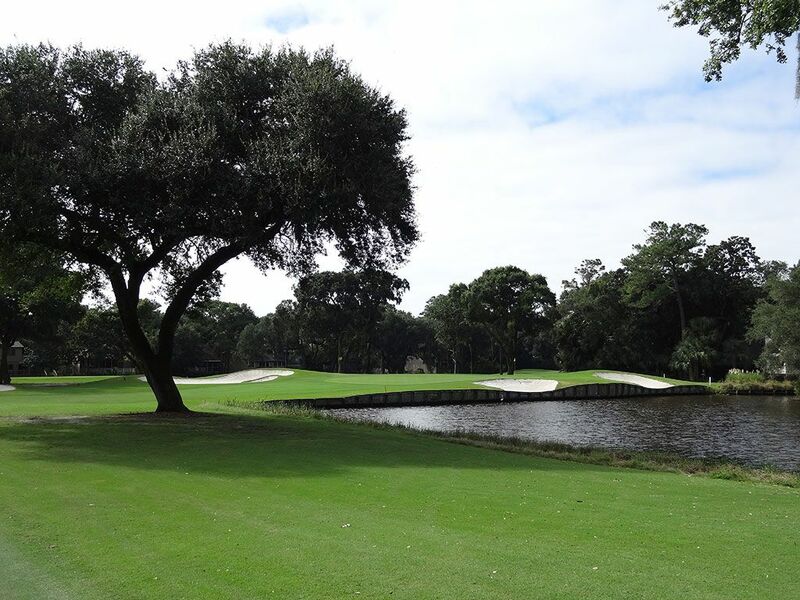 Signature Hole: 6th Hole – 180 Yard Par 3 – Depending on the level of the Kiawah River, this signature par three will play over water or over a marsh area to a green that is twice as deep as it is wide. Other than the bailout area short and right, it is a do or die shot where missing left or long will result in a fatal bath into the water/marsh. 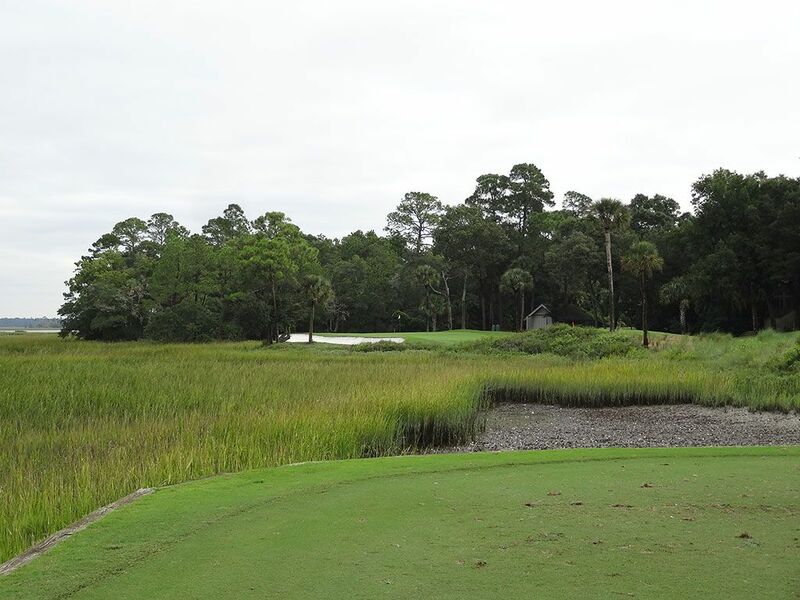 The view out to the left of the Kiawah River is quite inviting and helps give the player a feeling of isolation from his worldly cares. Best Par 3: 2nd Hole – 171 Yards – Opposite of the 6th hole where the water is on the left, Gary Player positions the 2nd green with a pond on the right side to contend with. 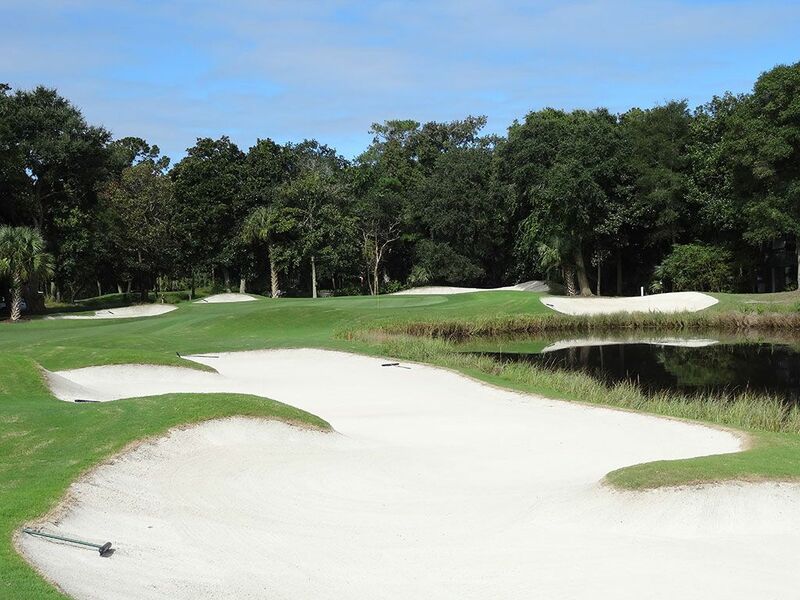 Bunkers on the short and left make players think twice about laying up though the tee you are playing from will dictate how much they come in play. This hole pairs with the 6th as two of the most attractive on the property. Best Par 4: 17th Hole – 363 Yards – Relatively short, rather attractive, and quite treacherous describes the 17th hole at Cougar point. From the tee players are tempted to challenge the corner of the dogleg even though it protected by water the entire way to the hole. I'm here to tell you right now, stay away from the corner! A tree protects the dogleg and the water comes further into play than golfers may be able to tell from the tee. The green sits back in a peninsula fashion making the approach shot rather challenging no matter what club you have in your hand. Best Par 5: 15th Hole – 542 Yards – I love risk reward elements on par fives and the 15th comes through solid with a well conceived water hazard. Tee shots played up the right side will be in position to reach the green in two as long as they don't trickle down the fairway and into the water. From the right side the green is wide but not terribly deep so you need to be able to hit a 200+ yard shot high and soft in order for it to hold. Playing safe up the left side is no guarantee of things going well since trees come into play at various times along the path. My second shot over the pond that managed to hold the green was my most rewarding shot at Cougar Point for the day. Birdie Time: 11th Hole – 496 Yard Par 4 – Any player worth his salt should be licking their chops going into a par five that is under 500 yards. To add to the excitement, the closest bunker is nearly 300 yards away so there is little to fear when taking a rip from the tee box. The attractive green site features a half dozen bunkers surrounding it and if they can be avoided you are well on your way to a birdie. On a side note, this hole was the site of the opening scene for The Legend of Bagger Vance where Jack Lemmon hits a tee shot and walks down the fairway. Bogey Beware: 4th Hole – 453 Yard Par 4 – Already the longest par four on the course, the prevailing wind is in your face and almost guarantees that you'll be hitting your approach shot from at least 200 yards out. How often do you hit the green from 200 yards out? 25% of the time, maybe? With a slim chance of being on this green in regulation, it equates to a slim chance to walking away with anything better than a bogey.